LED panel light is a perfect replacement for traditional fluorescence tubes that are often used with suspended ceilings. LED panel light utilizes the high power LED for practical solution to general overhead room and office lighting. 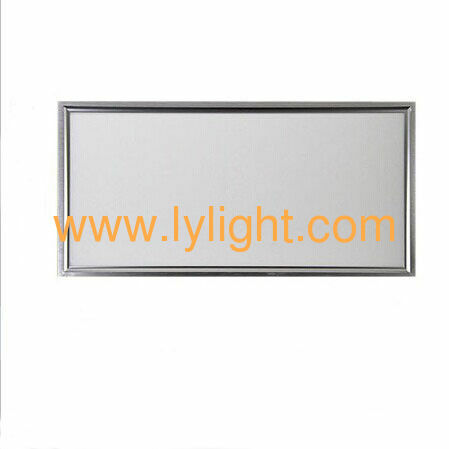 LED panel light is a brand new product which is based on LED Light for commercial lighting and home lighting. With unique design, LED panel light can be hanged on the roof (suspended) or surface mounted to the walls or on the surface of other objects(embedded, recessed). It is also great for decorative lighting. The material of lylight led sidelights is aluminum and PC cove, The LED Panel Light has been designed to retrofit existing fluorescent ceiling light installations, thereby reducing maintenance and energy expenditures - and as an energy saving light source for new fixtures and installations. libraries, houses, supermarkets, exhibition halls, corridors, factories, offices and other indoor spaces. Shell material: Aluminium+Light guide plate+diffuser plate.